I finally decided to take a little time off and learn KiCad so that I can document some of the boards that I'm building. I went back and read over Adrian's 5 March entry in the Developer's blog. From that and looking at the schematics I have the suspicion that I might be the only one to be actively using it to document things. Vik made a great discovery of a package called Kicad. It's a complete integrated schematics -> PCB system and it looks pretty good. It's fully GPLd and multi-platform. I was just playing with it before and it's pretty simple to use. 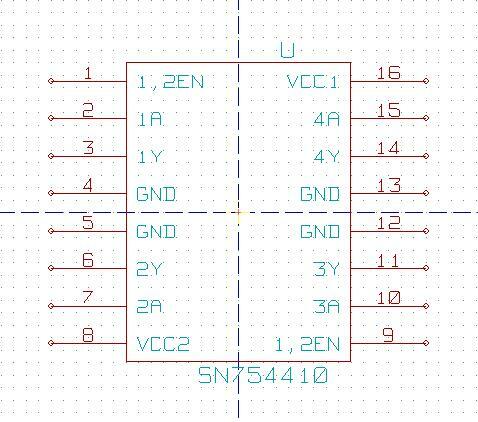 I built a schematic and took it right through to the PCB stage quite quickly. It can also produce SVG of schematics, and mirrored postscript of copper tracks for quick and dirty UV optical etching. We're looking at kicad, gschem and eagle. From what I've seen so far KiCad looks to be open source or while Eagle is a commercial package that has a limited use free edition. I'm not fond of "limited" free editions, so I'm going with KiCad. So far, so good. The first thing that becomes apparent is that some of the chips that we're fond of aren't in their library. They have an editing feature in KiCad, but as Adrian suggested in his blog entry, it's about as easy to just cut and paste in the library files, since they are in ASCII. One thing Adrian didn't mention probably because it didn't happen to him, if you edit the library files using a text editor be aware that the code in KiCad that reads those files isn't idiotproof, so if you make a typo while editing and then try to start up the schematic programme, it will explode. Don't let that alarm you, just go back and check your library editing. You probably just have a typo. One thing to keep an eye on. There are a number of library files in the library folder that aren't activated in the eschema (schematic... this is French software, but don't let that put you off) Before you go to a lot of trouble to put in a new chip schematic check those libraries. I was about to bite the bullet and put in the 16F877A when I found a very useful copy of it in an inactive library. I just cut and pasted that into the Microchip library and I was good to go. 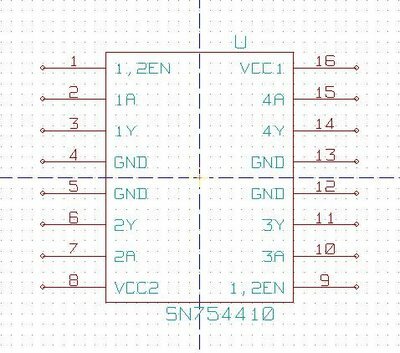 I am also going to do the L298N H-bridge, the AS5035 shaft encoder chip and that Hamamatsu limits detector chip that I can't remember the number for right off hand. If anybody is going to use those give me a yell and I'll send you the altered libraries. I'll put them in my resources folder as soon as my server is operational again, which will be next weekend, I think. Any updates on KiCad? I am thinking of using it but I am loathe to waste time as often these types of programs are.